You must have a judge. You can only use the black ropes. 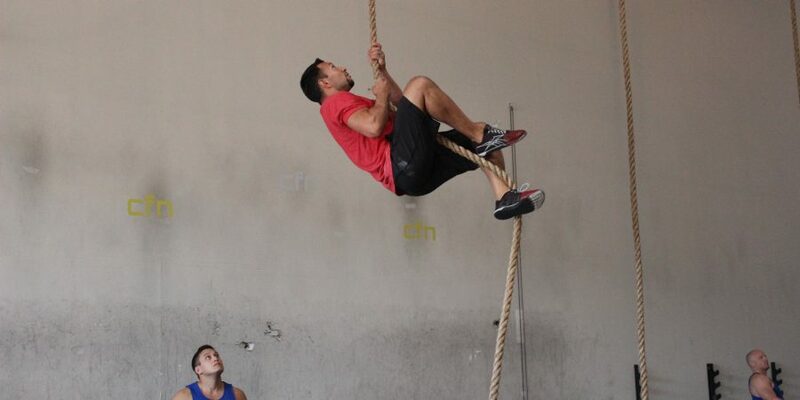 You start with your feet on the ground and each rep counts ONCE YOU HIT THE BEAM. 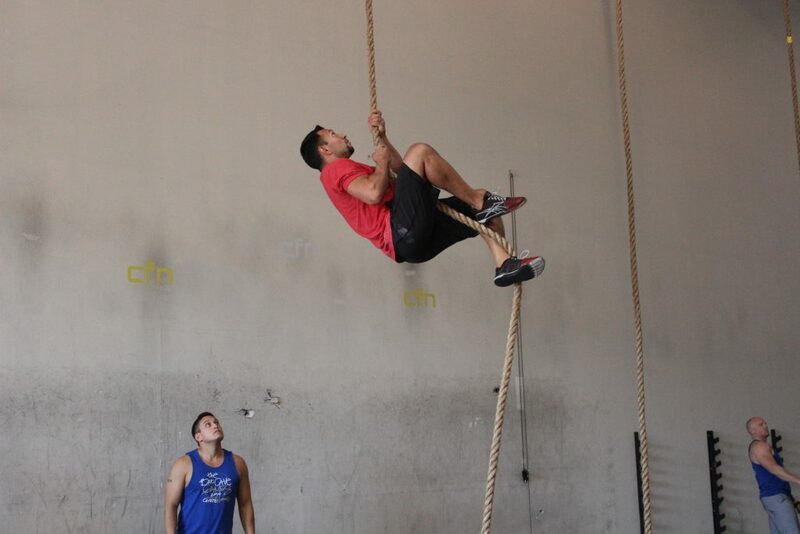 Because there may be several ties on specific reps, the TIEBREAKER is the time you completed your last successful rope climb (hitting the beam). The judge should record the rep and time that it was completed. In order to qualify for the prize you have to post your score and tiebreaker time on the “Sweaty Swag Board” right by the whiteboard. *Coaches, Games, or Regional athletes are not eligible for prizes…just bragging rights! You can watch the video for a demo! See you all on the rope! LOL! That was actually a surprisingly entertaining video! I like it!